Little Millets Khichidi is simple to make yet healthy and extremely filling. Khichidi is a one-pot meal made from rice and moong dal traditionally. I have now started making Millets Khichidi and has become standard in my place now. In fact, kiddo told me to make khichidi with millets and she will eat. Millets, there are so many of them that it gets confusing, add to this the local names and since I speak 5 languages it gets doubly confusing so I will try and get the different names together. Why use millets? What are the health benefits of millets? Millets that are rich in fibre, calcium, iron and vitamin B. However, before that you start using millets how do you cook them? Sorghum and finger millet is generally used as a flour. Even bajra is generally used in flour forms. It is only recently I have come across varieties of food made with the whole grain. If you are using the other millets Barnyard Millet, Kodo Millet, Little Millet or Foxtail Millet then use it as a whole grain and cook them. You will need 2-1/4 cups of water to cook 1 cup of millets in a dry style like rice is cooked for pulao but to make a porridge kind of consistency use 3 cups. One of the first things I made with little millet was this Savoury Khichidi a simple recipe that can be made in one pot and is ideal for any meal breakfast, lunch or dinner. I am adding Little Millet Khichidi to my #Millets collection, #Simple and Healthy Diet in Old Age( #SHDOA), #One Pot Meals. Rinse and drain the millets and moong dal a couple of times. Heat the ghee in a pressure cooker. Next, make the tempering add the mustard and jeera it will splutter, add the pepper(if using), green chillies and curry leaves. Transfer to the moong and millets mixture and fry till you get a nice aroma. Toss in the walnuts and give a quick stir. Add 1-3/4 cup water, salt and ginger if using. Add the veggies and close the cooker. Cook for 2 whistles. Turn off the heat and allow the cooker to cool naturally. Remove from the cooker and serve garnished with coriander with chutney/side dish of your choice. This will give you a that is grainy khichidi. Use more water in case you want it soft. You can also add the veggies in the stirring and then add water and cook the millets. I prefer this method as I want to see my veggies and I do not like them mashed up. Khichidi is a one-pot meal made from rice and moong dal traditionally. Little Millets Khichidi is simple to make yet healthy and extremely filling. This will give you a that is grainy khichidi. Use more water in case you want it soft. You can also add the veggies in the stirring and then add water and cook the millets. I prefer this method as I want to see my veggies and I do not like them mashed up. This is surely an interesting way to make his khichidi..with all that vegetables and nuts it must have been so yummy! Khichadi is a nice way to use millets. Very nutritious. Khichidi looks colorful and hearty. I am just in the process of learning and sourcing different millets here. Hope to include millets in my diet at least once a week and khichdi is on top of my list. I am glad you gave that list , even I get confused :)) that millet Khichadi looks perfect and would make a delicious meal . One pot meals are life savers! 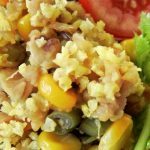 With healthier alternatives to rice, a quick colorful meal is great for lunch or lunch box. That khichdi with millets looks so comforting and delicious. I always get confused with the different millets – so your chart is going to be very helpful. 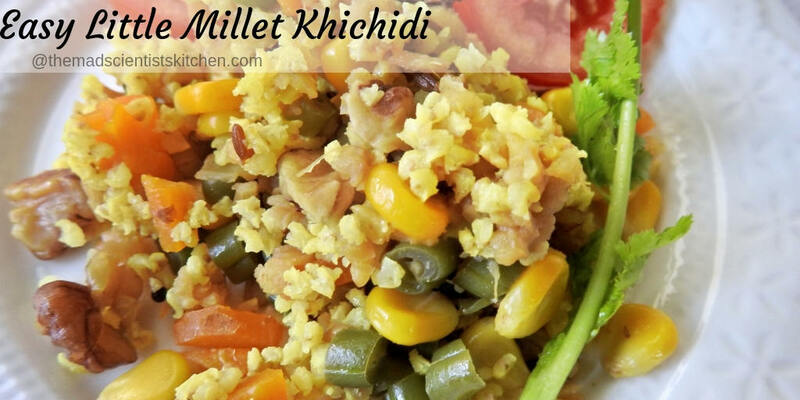 Millet version khichdi sounds yum and healthy. 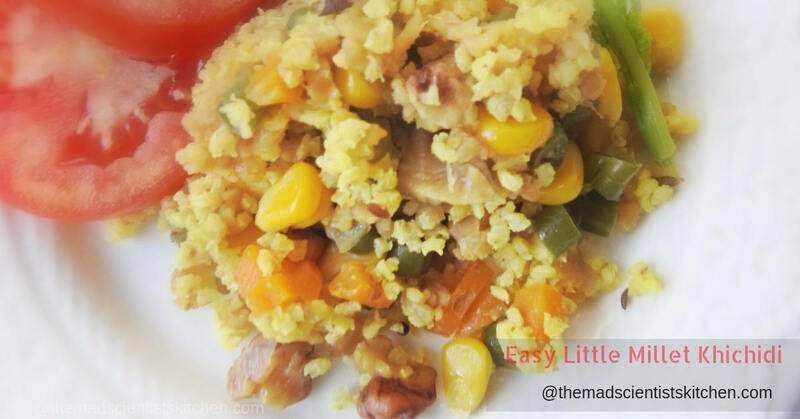 Adding veggies to the plain khichdi makes it more nutritious. It is really wonderful when kids ask for such healthy recipes. The khichdi looks amazing Archana. A healthy khichdi indeed with all that vegetables and seeds. a good weight loos food too. A very healthy and filling khichdi. 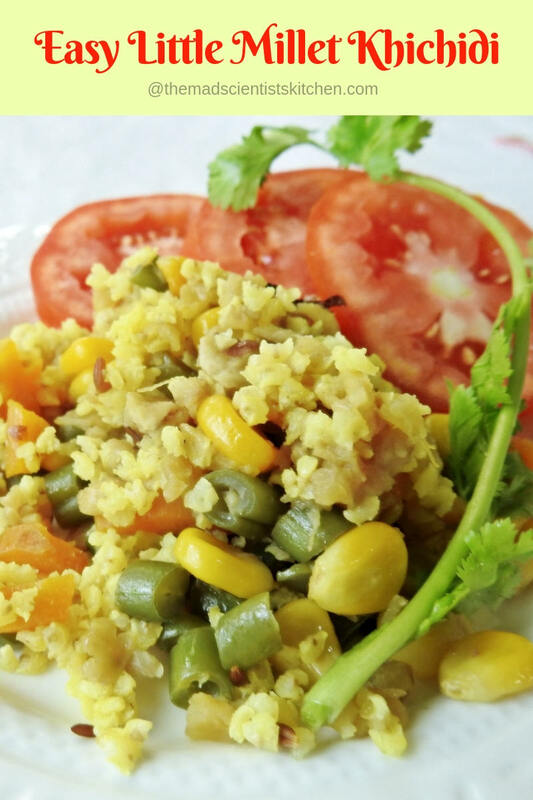 I love how different flavors and veggies can be used to make millet khichdi. Gluten free and light on the tummy too.